By admin | September 27, 2012. Dublin cruised to victory over Meath in the All Ireland Minor Football Championship Final beating their Leinster rivals 0-14 to 1-5. Dessie Farrell’s side lifted Dublin’s first Minor title in over 30 years after beating Meath by six points. Dublin were the deserving winners in a match where Meath never really threatened to cause an upset over the Leinster champions. Indeed, the Dubs were deserving All Ireland winners, crushing all competition in their path throughout the championship. After an uninspiring first half, Dublin had a five-point lead thanks to points from Cormac Costello and Eric Lowndes amongst others. Cian O’Sullivan and Fiachra Ward scored points for Meath who managed only to score a paltry two points in the first half. Synge Street forward Niall Scully opened the scoring for Dublin in the second half after his team mates had missed several chances. Meath substitute, Patrick Kennelly cut the gap to four and Meath were offered a lifeline when they were awarded a penalty after 43 minutes. Fiachra Ward dutifully put away the spot kick making it a one point game. However, this seemed to spur on the Dublin team even more as they hit 6 unanswered points and took complete control of the game. Points from Shane Carthy, Scully and Costello (who will be playing in next week’s hurling replay along with Eric Lowndes and Conor Mc Hugh) put Dublin into a six-point lead. Meath full-back Brian Power had a goal chance for Meath close to the end of the match but his tame shot was cleared off the line. Dublin then went up the field to score another point through Cormac Costello who brought his tally to 0-5. 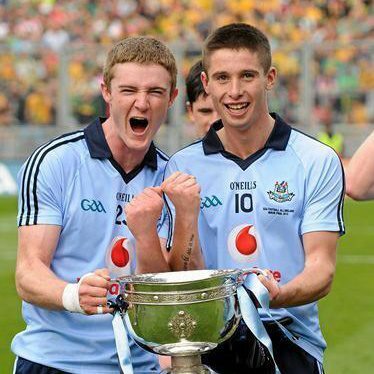 In the end, Meath posed no real threat to Dublin who lifted their first minor title since 1984.